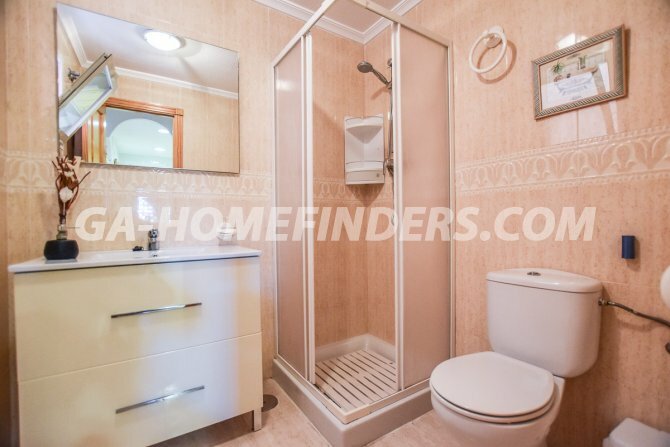 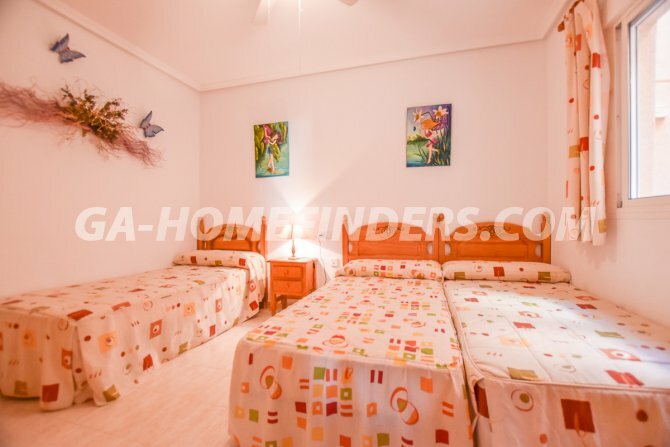 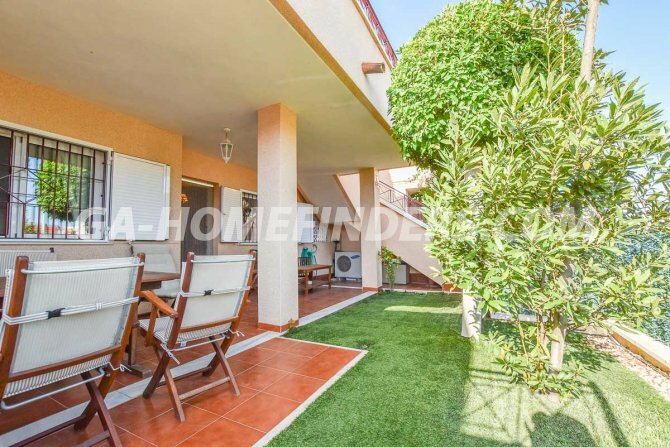 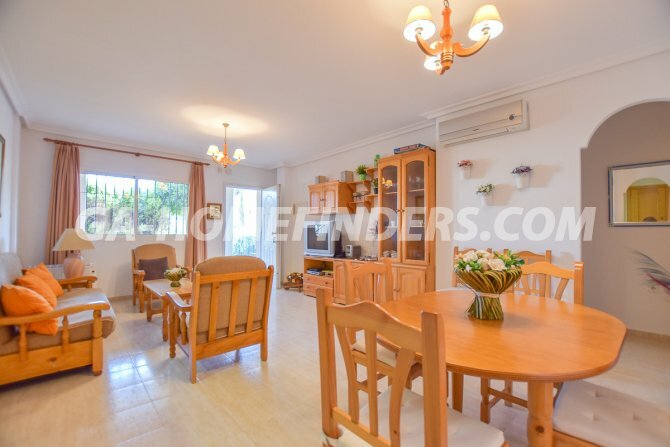 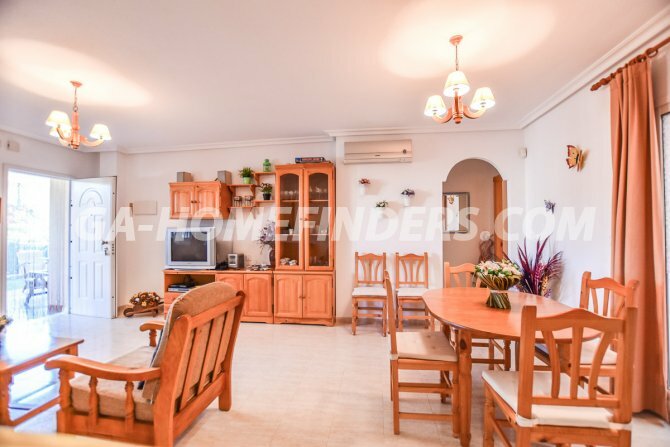 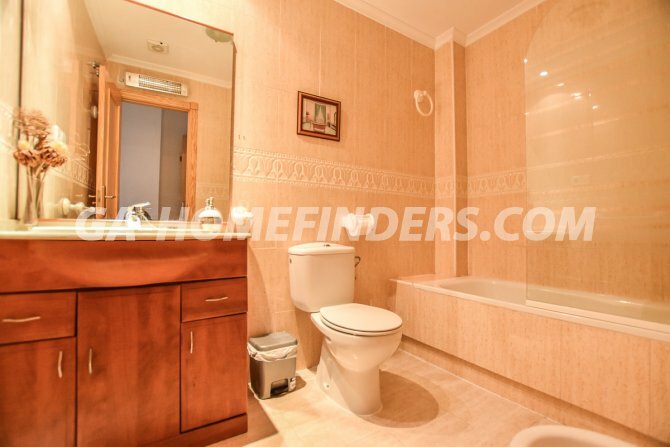 Furnished ground floor apartment in Novamar VI, has 2 bedrooms with fitted wardrobes and 2 bathrooms, one of them en suite. 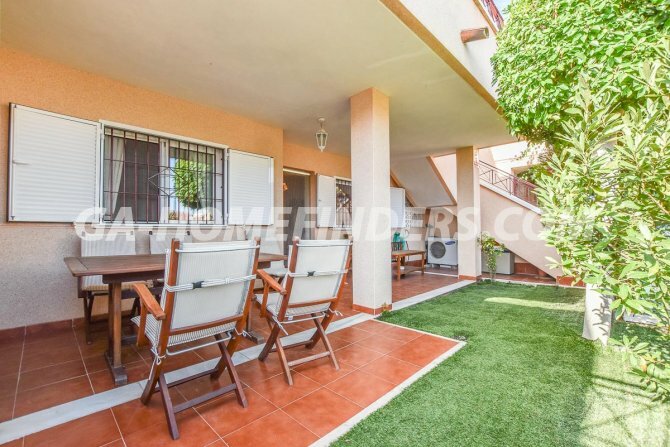 At the entrance of the house there is a large terrace of more than 27 m2. 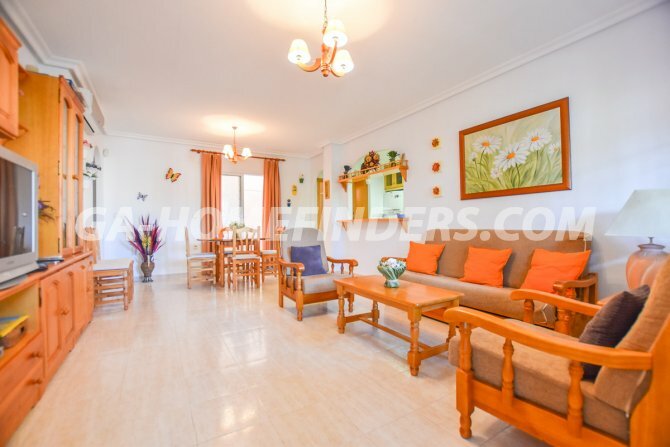 There is a large living room, open plan kitchen and gallery with all appliances. 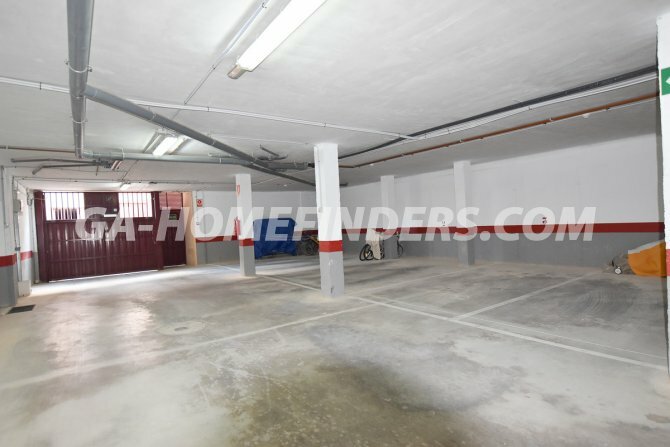 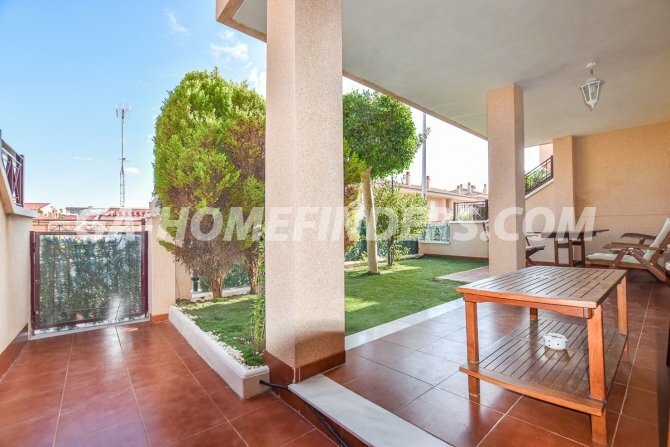 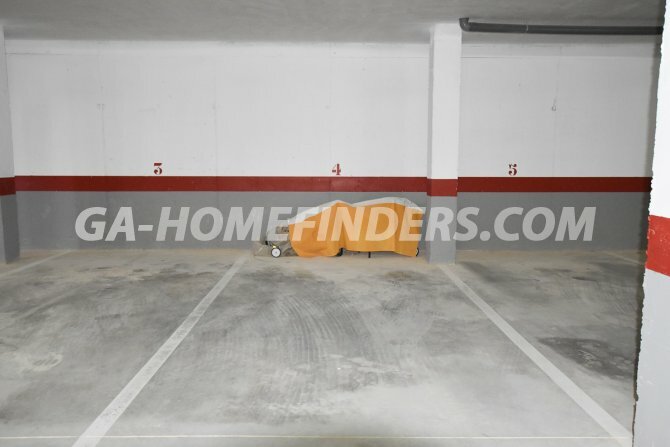 The apartment has a rear terrace which has a private access door to the garage space. 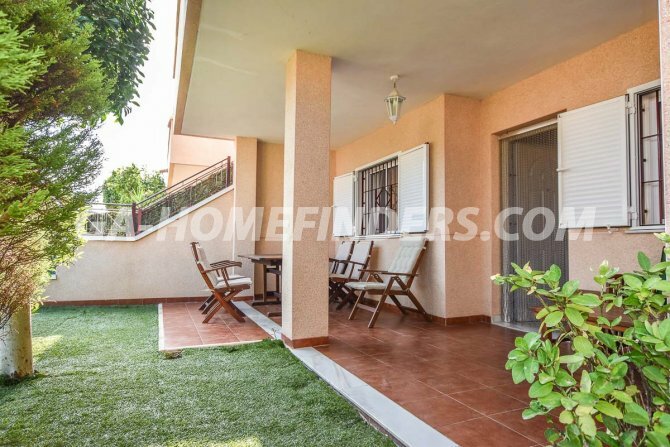 All the windows of the house have grills, blinds and mosquito nets. 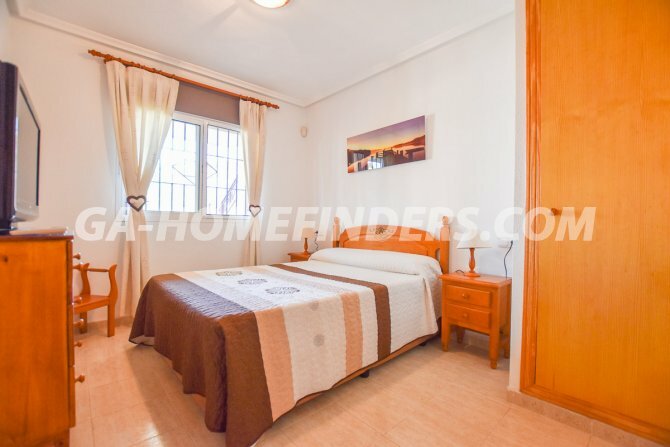 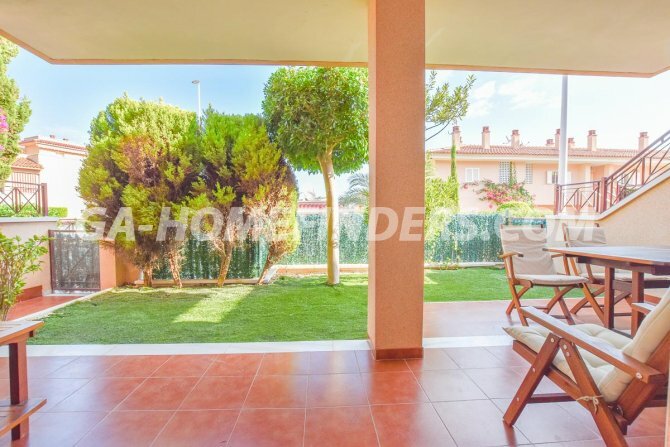 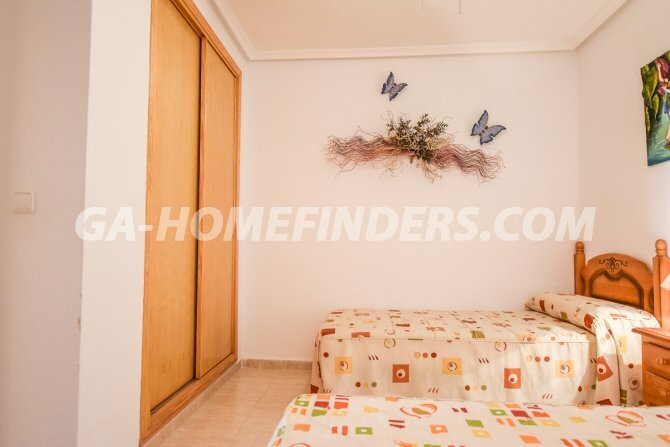 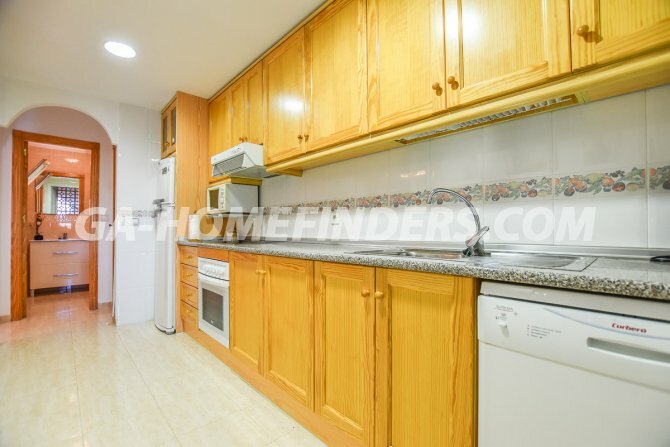 There is air conditioning (hot/cold) in all rooms.The urbanisation is located in the lower part of Gran Alacant, very close to the Carabasi beach which is less than 1km. 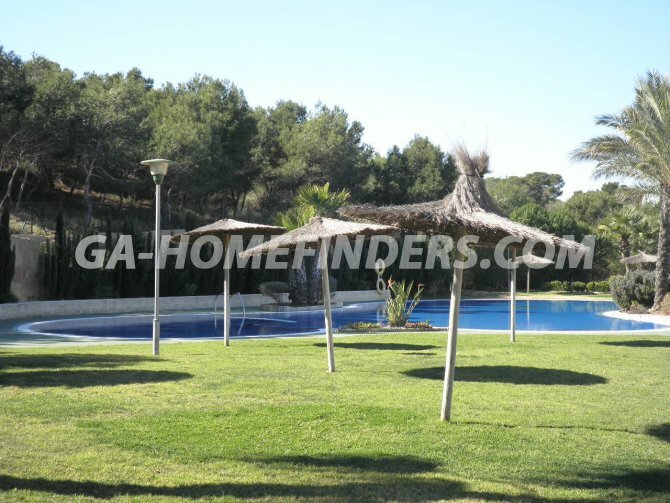 It is a gated community, with a communal pool with large green areas.